Worrying if your child is too hot or cold at night is a common problem for parents. Our functional Sleep Suits are designed to enable increased air flow and better temperature regulation. "Wow what an amazing product. My 1 year old son is kept nice and warm over night as he hates blankets on him now I don't have to worry about him getting cold!! And what's even better is that I can keep him in it till I'm ready to change him! He can move around safely and be warm love how functional this sleep suit is :blush: Super happy and will be buying the next size up for next winter!! Thank you love to dream x." 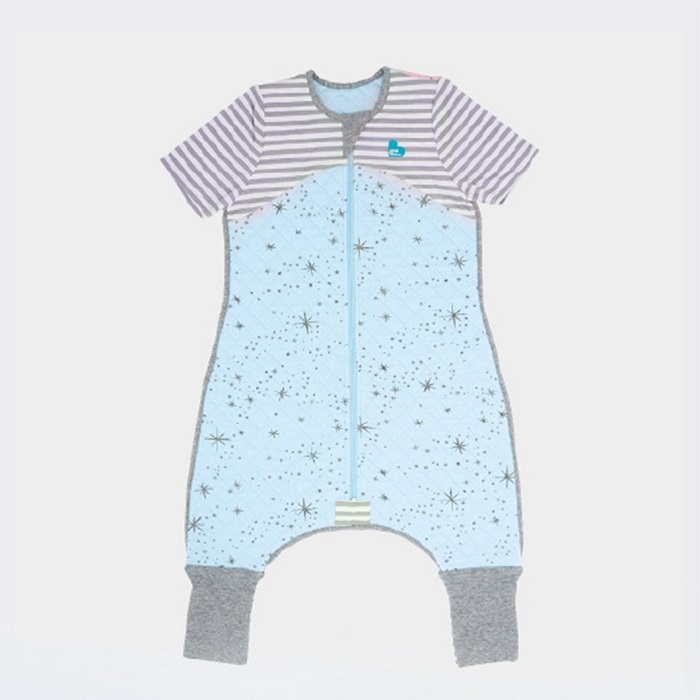 Our premium 2.5 TOG Sleep Suit has legs and convertible feet. Making it perfect for active babies and toddlers who are always on the go. Eventually your baby will reach a stage at which he or she no longer needs to be swaddled, but a Innovation is at the heart of all our products. Pioneering the unique arms UP design, we reinvented the age old method of traditional swaddling. We have no helped millions of babies around the world get a good night’s sleep. As every new mum and dad knows, becoming a parent can present some terrifying challenges – but at Love To Dream sleep is the one thing we’ve made simple. Quality for your baby is our expertise, so rest assured, we have the answer you’ve been looking for.